At the NRB International Christian Convention and Exposition this month, StreamGuys will emphasize the power of uniting worship communities through streaming media. As a leading expert in multiformat, broadcast-quality streaming and podcasting, StreamGuys will accentuate how worship facilities can broaden audience reach through live and on-demand content on the web, mobile devices and a quickly-expanding universe of connected media players. 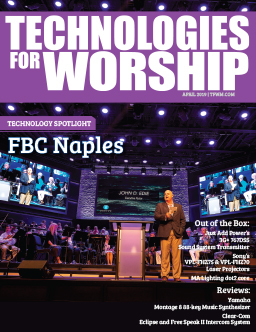 StreamGuys’ flexible content delivery network enables religious broadcasters and worship facilities to customize the streaming toolset to ensure the most cost-efficient solution for their budgets, while ensuring premium audio quality to engage audiences. Customers are guaranteed a multiformat delivery platform suitable for many consumer devices, with options for HTML5 and Flash players, dynamic ad insertion and password-protected content. Using StreamGuys’ Reflector service, users can quickly establish a reliable, unidirectional streaming service without the costs and complexity associated with static IP addresses and IT network configuration—an ideal option for broadcasters currently relying on costly satellite links for multisite program distribution. Furthermore, StreamGuys’ decades-plus of podcasting experience, including many years supporting the most popular podcasts on iTunes, ensures a robust platform for the ingestion and playout of on-demand content in any format—for any number of listeners. StreamGuys’ quality-of-service (QoS) emphasis brings added value for the religious broadcaster, from remote monitoring tools for the customer to the company’s 24/7 technical service. 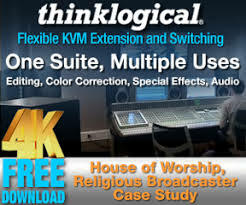 Both lend well-rounded support to religious broadcasters that lack in-house resources for troubleshooting. “With software-defined monitoring and alerting services, along with a cloud-based, redundant architecture to minimize buffering and eliminate downtime, customers are assured a consistent, high-quality stream that meets the same professional standard as an over-the-air broadcast,” said Speaker. NRB attendees interested in learning more about live streaming and podcasting for religious broadcasters can visit Booth 716, where StreamGuys will exhibit as part of the Broadcast Industry Group (BIG), comprised of leading TV, radio and streaming suppliers and service providers. The NRB Convention takes place from February 23-26 at the Gaylord Opryland Resort and Convention Center in Nashville.